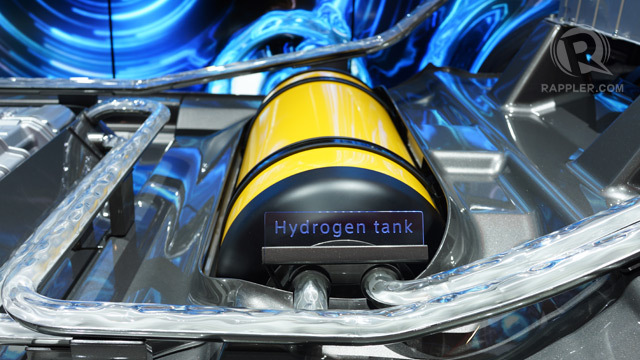 Earlier this week, Toyota unveiled its latest creation: the world’s first commercial hydrogen fuel cell car. This vehicle, of course, has been highly anticipated since the concept was originally publicized at the Tokyo Auto Show back in 2013. It will be available for buyers by early to mid 2015. 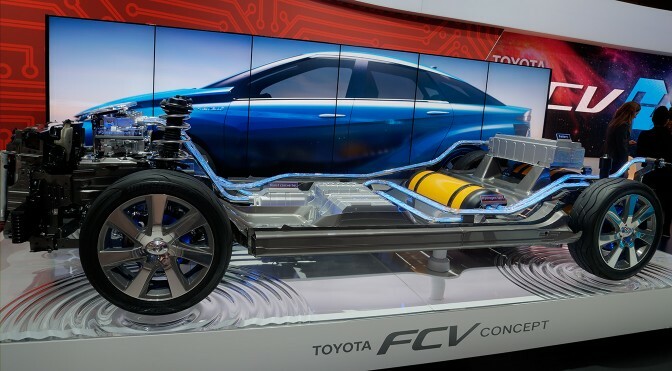 Since its conception, the Toyota hydrogen fuel cell car has been aimed at rivaling the up-and-coming juggernaut Tesla in the fuel efficiency and clean energy market. Looking at the numbers, Toyota’s goal of outdoing Tesla becomes even more obvious. Firstly, the hydrogen car is priced at $68,000 American, which comes right under the baseline $69,000 price that Tesla has set up. The Toyota hydrogen car also beats out Tesla in cruising range (435 miles vs. 300 miles), and it kills Tesla in charging time (3 minutes vs. 72 minutes). Well similar to the Tesla Model S, the Toyota hydrogen fuel cell cars are propelled by electric motors. However, unlike the Model S, the Toyota does not need to be plugged in to gather energy. Instead, hydrogen gas passes through a stack of plastic membranes and platinum dusted plates to produce electricity, leaving only a trailing mist of water vapor as it is driven. Tesla founder and chairman, Elon Musk, however is not impressed, publicly condemning the car as second rate compared to his. Regardless of Musk’s disapproval, though, it appears that Tesla has a new and formidable challenger. Now, Musk must respond with an even more efficient, powerful, affordable Tesla model to keep pace. Drivers couldn’t have asked for anything better. This entry was posted in Tesla, Toyota and tagged efficiency, Elon Musk, fuel cell, hydrogen, Model S, tesla, Toyota. Bookmark the permalink.